Blazing fast UHS-II 285mb/s read 100 mb/s write SD card. 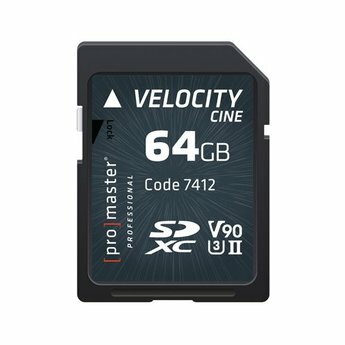 PROMASTER VELOCITY MEMORY CARDS are for photographers and videographers with the need for speed! The 100MB/s write speed is perfect for recording clean, uniterrupted video at today's super high resolutions. Want to shoot still pictures in high-speed burst mode? Go ahead. Velocity memory can keep up with your camera's high frame rate, even set to RAW. The blazing fast 285MB/s download speed quickly pulls large files into your computer or video editing suite.